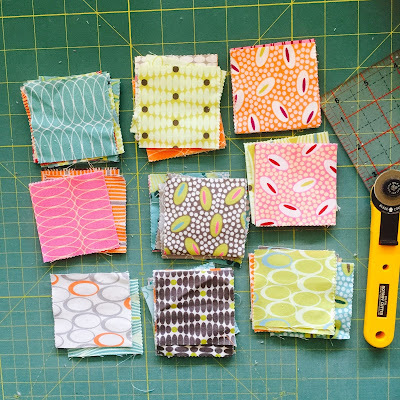 This block combines two of my favourite things - scrappy backgrounds and jelly rolls. It is the Postage Plus quilt from the April 2016 issue of American Patchwork and Quilting. The pattern calls for squares half the size, but it is very easy to size up. 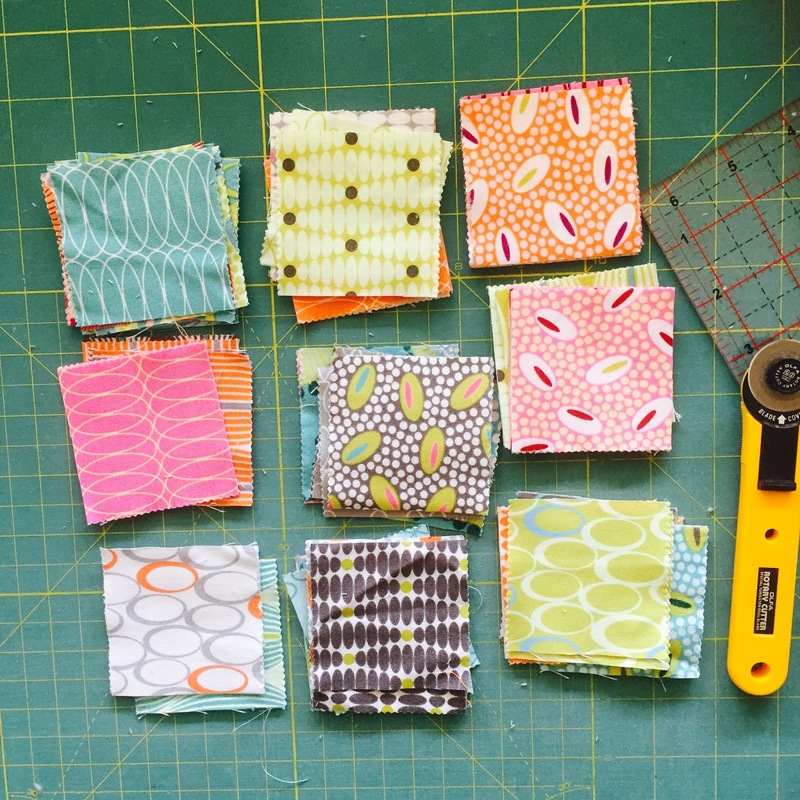 The squares are left over from my Fruit Tingles quilt - a Moda jelly roll of For You by Zen Chic. My finished block size is 20" x 20", perfect for a mini quilt. Great block! It's so vibrant. Beautiful. 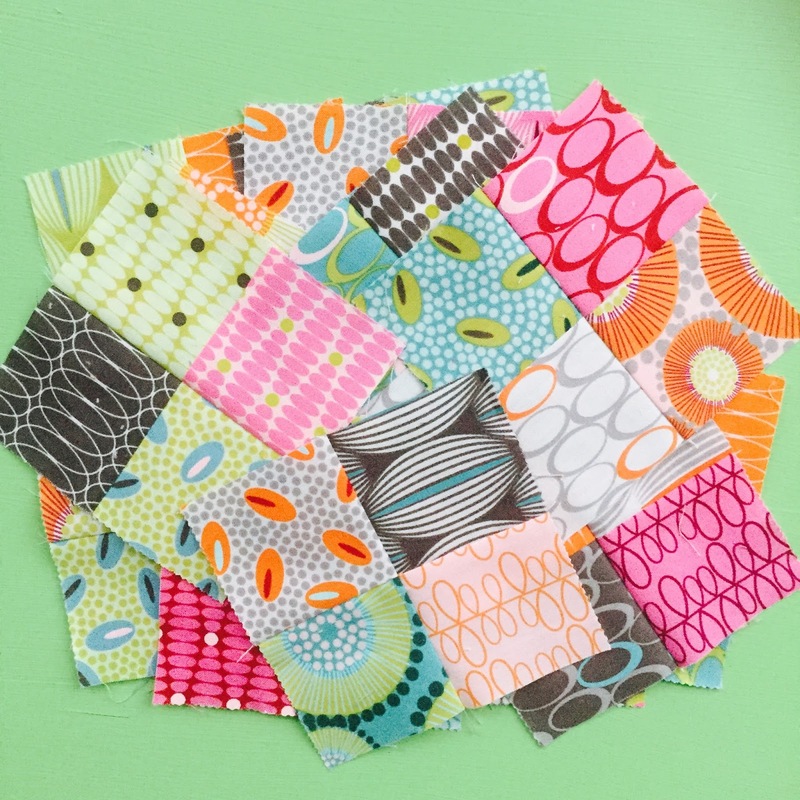 I love the fabrics you chose.